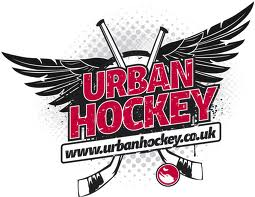 During the summer term our pupils in Key Stage 2 will have the opportunity to play Urban Hockey. Our year 3&4 pupils will take part in the sport during their PE lessons and the pupils in Year 5&6 will be given the chance to attend an after school club. Urban Hockey is a fast moving, exciting playground sport gripping local school children and helping children of all ages to engage with P.E. Urban Hockey, which is funded by Capital One and devised and founded by Matt Bradbury, Sports Development Officer at the National Ice Centre, is based on the game of ice hockey and participants of all ages can learn to stickhandle, pass and shoot like the pros. This exciting sport used by many city schools to support their P.E curriculum, has been developed not only to teach youngsters the basic and fundamental skills of hockey, it also provides a unique opportunity for children who may not usually get involved in sporting activities as it can be played by anyone irrespective of age or ability.